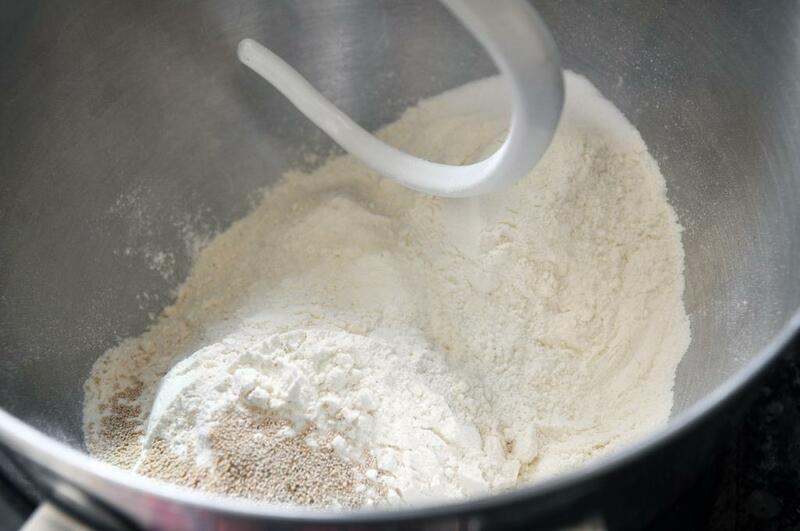 In the bowl of a stand mixer fitted with a dough hook, add 3 1/2 cups flour. Add yeast and salt at separate ends of the bowl. Turn mixer on low and slowly pour water in. 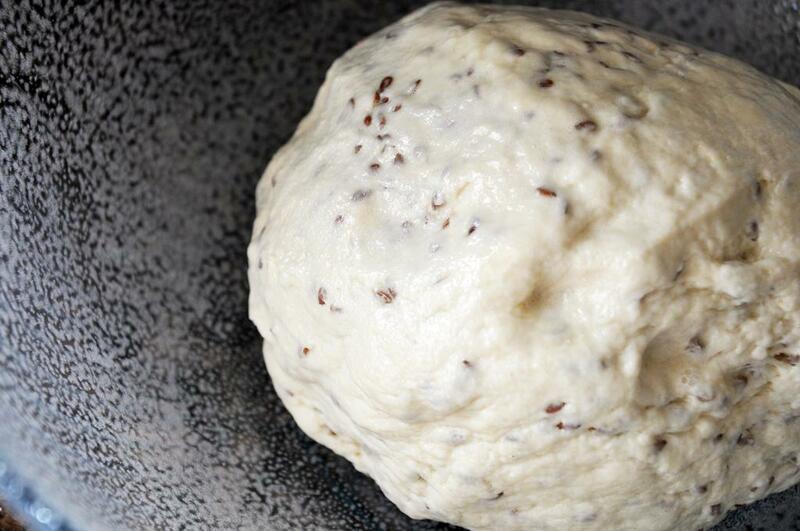 Let mix 3 minutes, then rest dough for 7 minutes. Add flaxseed and mix on low for 2 more minutes. 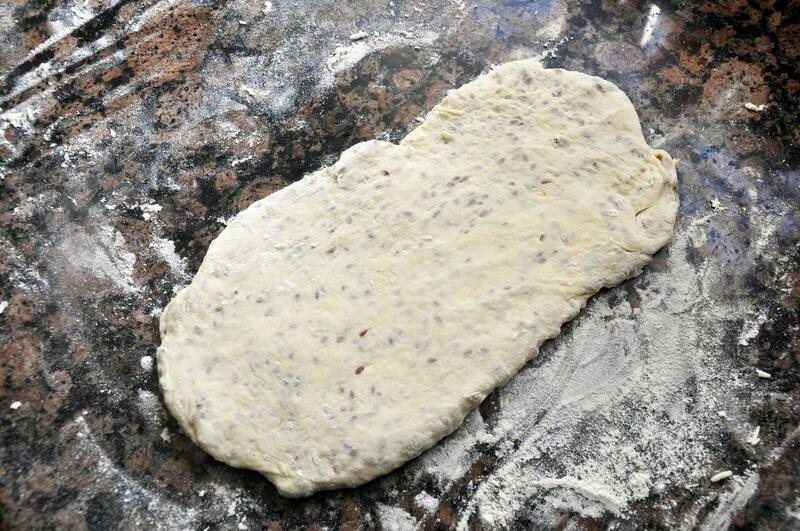 Turn dough out onto a surface coated with remaining 1/4 cup flour. 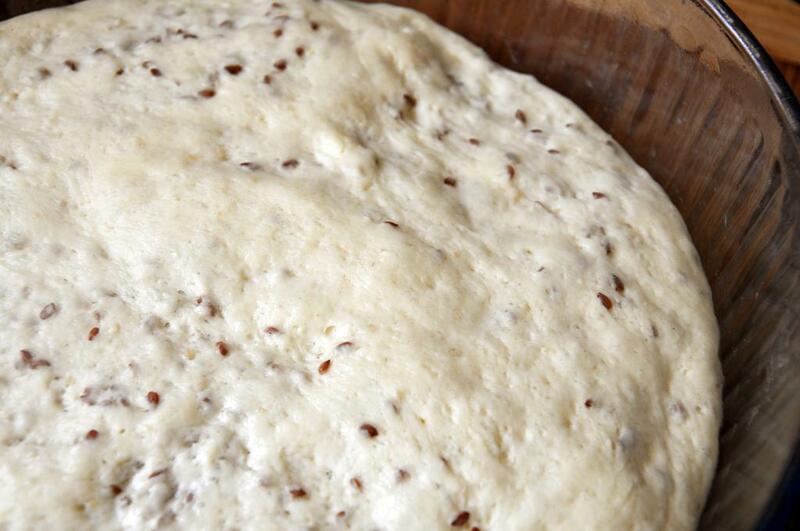 Knead gently to evenly distribute flaxseeds - about 2 minutes. Place dough in a bowl sprayed with cooking spray and turn to coat. Wrap with plastic wrap and put bowl in a warm place to rise for 90 minutes. 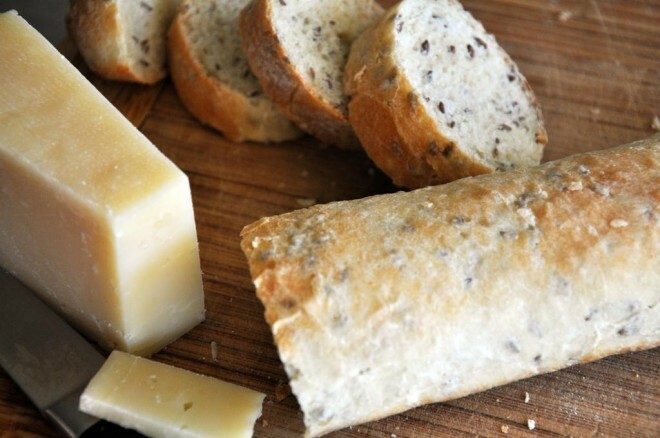 Divide dough into three even loaves. 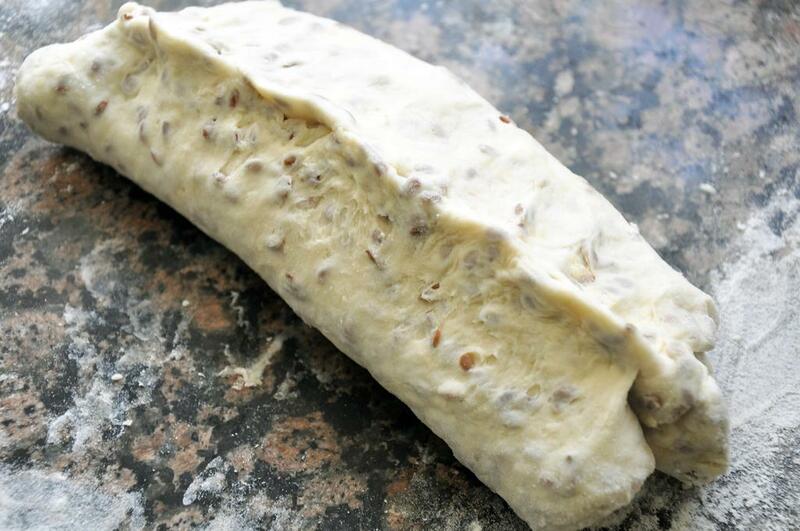 Roll one loaf into a 8" x 3" rectangle. Fold the top short end in one third and the bottom short end up one third. 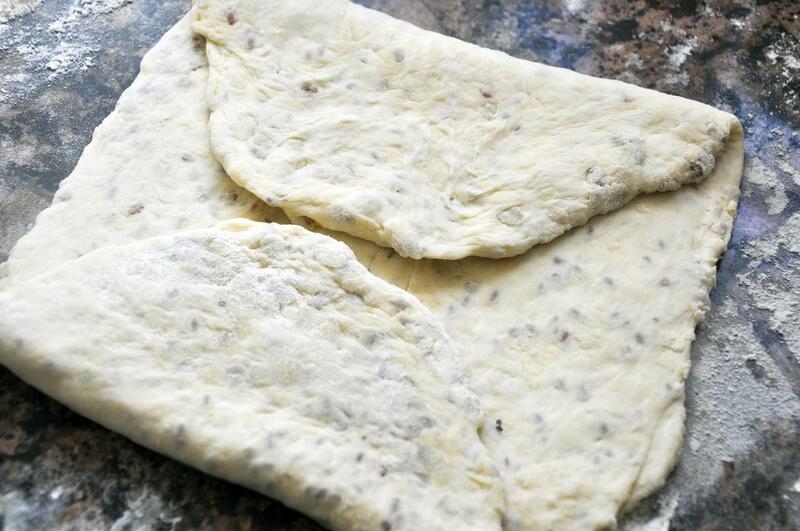 Fold both in again in the same manner and pinch the dough together. Roll the log out until it measures about 12-14". 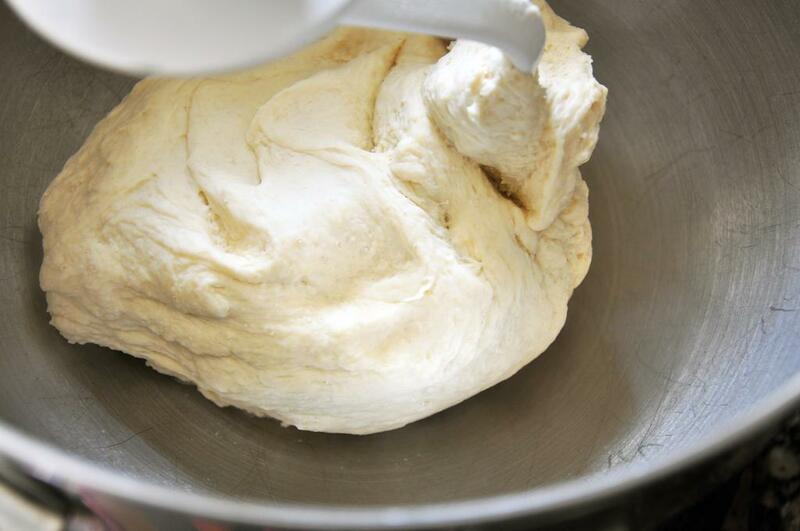 Place dough on a floured banneton (or between the folds of a floured kitchen towel or wax paper on a cookie sheet lined with foil and sprayed with cooking spray). Repeat with remaining two loaves. Cover tightly again with plastic wrap and place back in a warm place for 45 minutes. Meanwhile heat oven to 450 degrees. 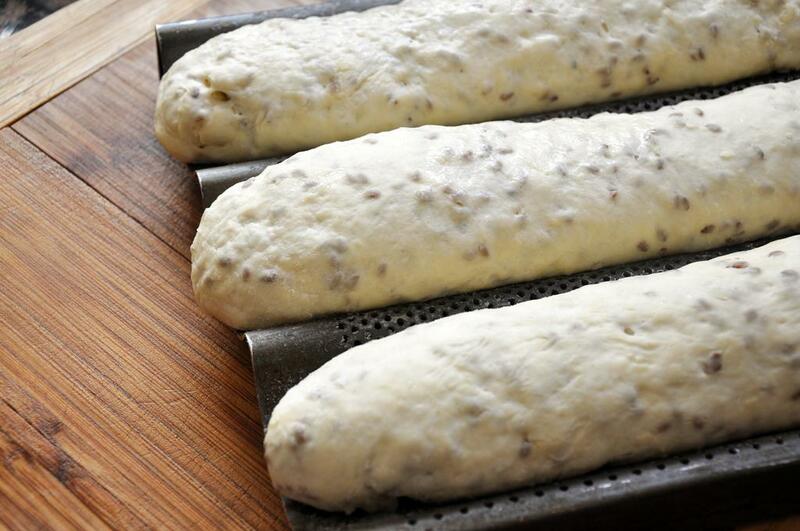 Gently move the loaves from the banneton to a pizza stone or cookie sheet lined with foil and sprayed with cooking spray (or if using the towel or wax paper, gently remove those). Bake for 15-20 minutes until golden. Remove and let cool 10 minutes before serving.